Affiliate links included for your convenience. I was sent a book for the purpose of this review, but I will be buying additional copies on my own. This review is honest; my commendation is sincere. I was considering buying a science subscription box service before my friends reminded me that Asia’s new book could easily be used as a science curriculum for my young kids. The Curious Kid’s Science Book is different from other science books in that the information and explanations are kept to a minimum. 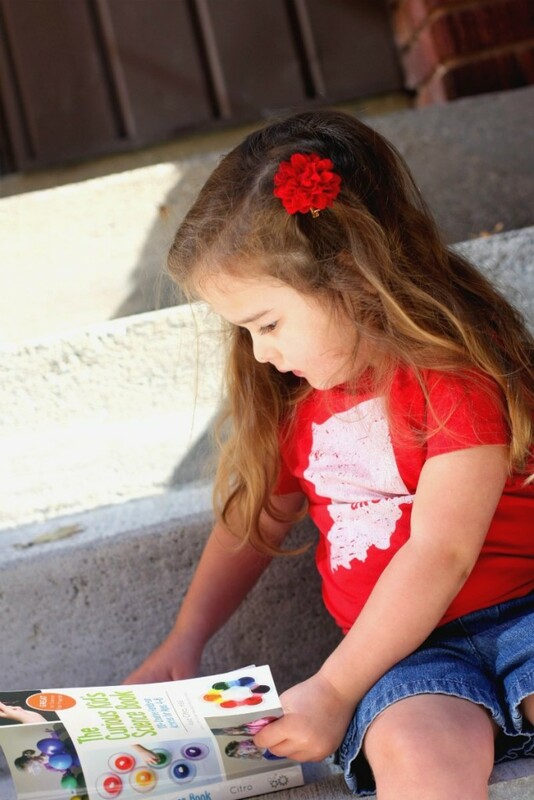 The emphasis is on allowing children to use their natural curiosity to explore and test scientific concepts in a developmentally appropriate way. There is no “failure” with these projects–it’s all about the process and the learning experience. 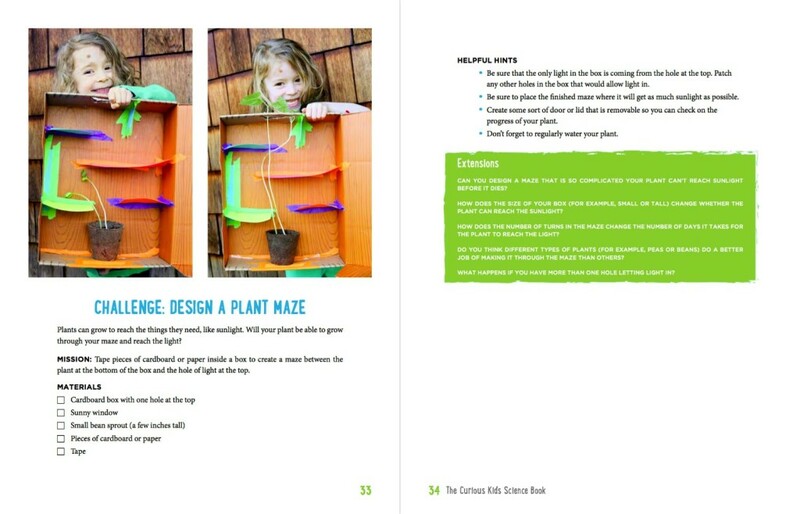 It encourages children to think and not just follow along with an adult-led project. Check out a sample activity below! Asia also reminded me that if the supply list is intimidating, I could look at the front of the book for the list of the commonly used “science supplies,” and those basic supplies would allow my kids to do the majority of the projects in the book. Another friend mentioned that to round out our elementary science curriculum I could add a few nonfiction books from the library that correspond with the projects and/or my girls’ interests. Apparently I’m not the only one in need of a new approach to science education. Several school districts have adopted this book as their elementary science curriculum textbook! And at least on college professor has made it required reading for her Early Childhood Education students. Since science isn’t my strong suit, I’m thankful for smart friends who produce awesome resources like this one! 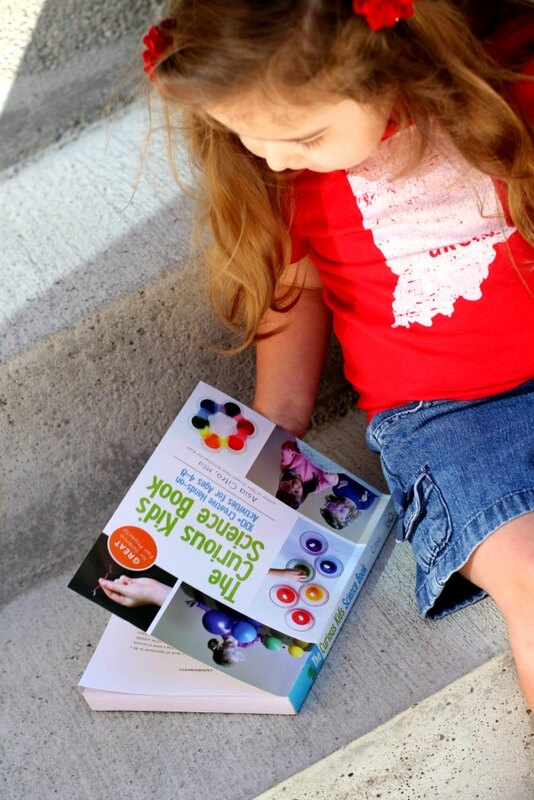 I’m feeling much better about my daughters’ early science education now that I have and know how to use this book. You can order a copy for yourself via Amazon.com, Barnes and Noble, and Book Depository. 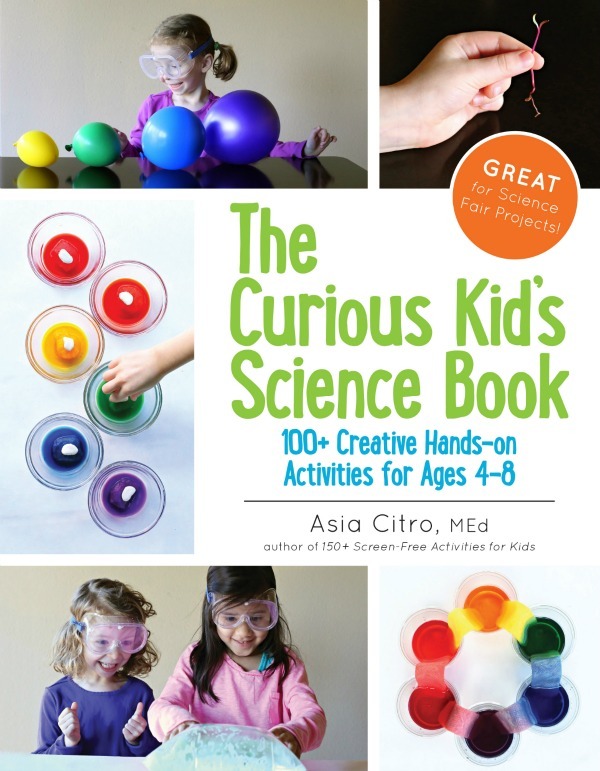 Or, if you’d like to turn this book into an awesome gift, check out Asia’s DIY Science Kit Gift for Kids!